A 1-hour lunch break will begin as soon as the last scorecard of the morning is turned in. The 2nd round will begin immediately following the lunch break. Must have a minimum of 3 players for a division. (Note: Non-PDGA members will be charged an additional $10 PDGA fee. 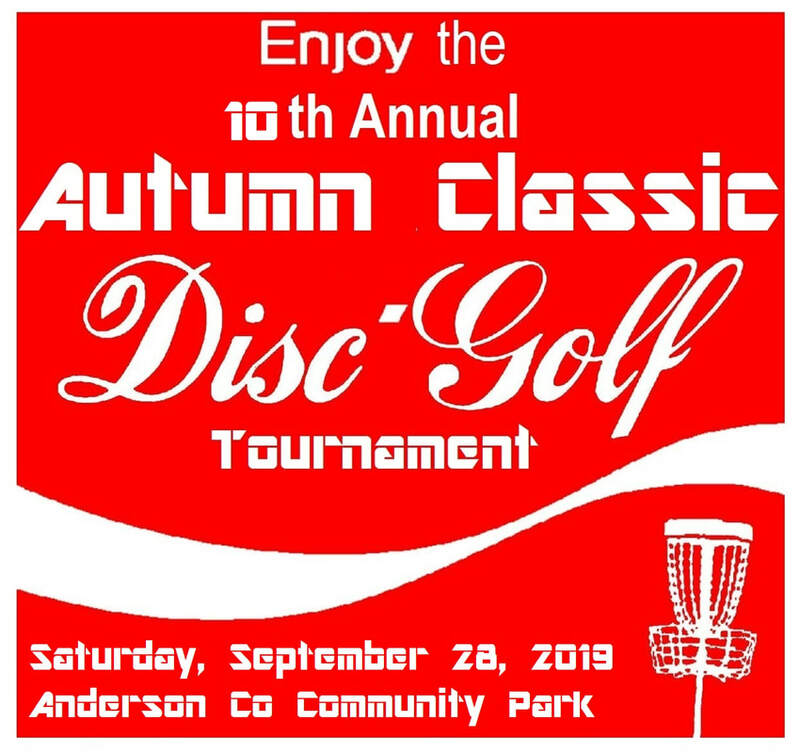 This sanctioned tournament will consist of 2 rounds of 24 holes at the Anderson County Community Park Disc Golf Course which will implement 3 temp baskets (played twice) along with the 18 permanent baskets. A shotgun start format will be in place following the player's meeting. There will be 1 hour break for lunch following the morning 24-hole round. The afternoon 24-hole round will begin 1 hour after the last scorecard of the morning round is turned in. There will be an awards presentation following the completion of the afternoon round. Should there be no aces thrown by the ace pool participants, an ace pool throw-off will be held prior to the awards presentation. There will be an optional ace pool for those interested. A $2 fee will enter a player into the ace pool that will be a winner-take-all. Ace pool money will be split between all aces thrown during the 48 hole tournament. Should no aces be thrown there will be a throw-off prior to the awards ceremony. Player packs will be given out to the first 20 paid registrants.